Apologies for the radio silence from me over the past week. If you don't see my social media posts, I've been stuck in bed with a tummy bug, which let me tell you- hasn't been fun. Accompanying this came a dizzy head which meant I haven't been able to focus on looking at my phone or laptop. It's been hell, but it's forced me into a digital detox of sorts. I'm still a little dizzy, but there's only so much daytime TV a girl can take before she feels like she's going to burst. So here I am, Monday afternoon, the day after Mother's Day. This post was supposed to be up way before that deadline but sometimes life doesn't go to plan (secretly hating on the person who gave me this bug). 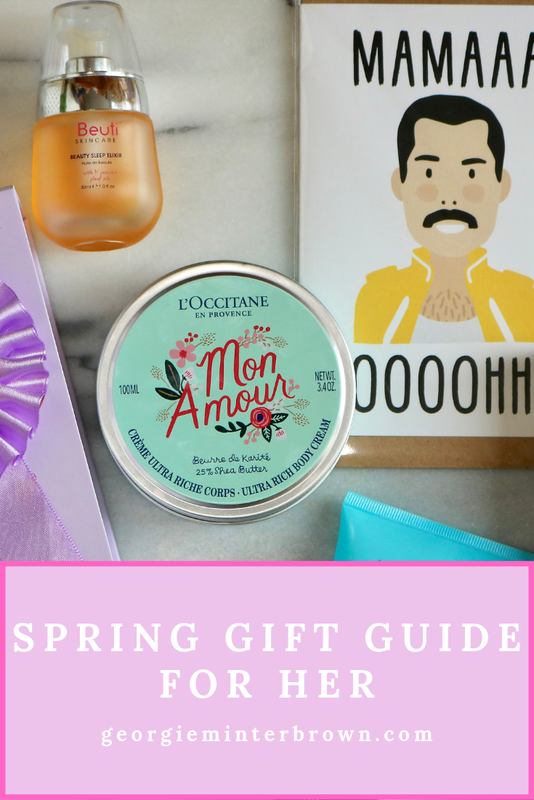 Instead of letting this half-finished post go to waste, I decided to convert it into a general gift guide for spring, as I know there are plenty of people, mum's included, who also have birthdays around Mother's Day but don't particularly want something that screams "I bought this at the same time I bought your Mother's Day gift." 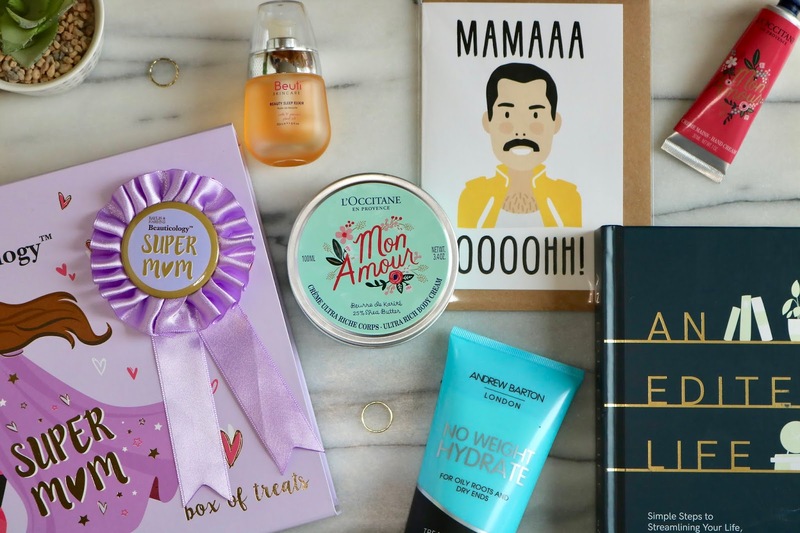 Like in all my other gift guides, I've put together a round-up of ideas mainly covering beauty but also featuring a couple of lifestyle options too if the person you're buying for can't face seeing another beauty gift set again. 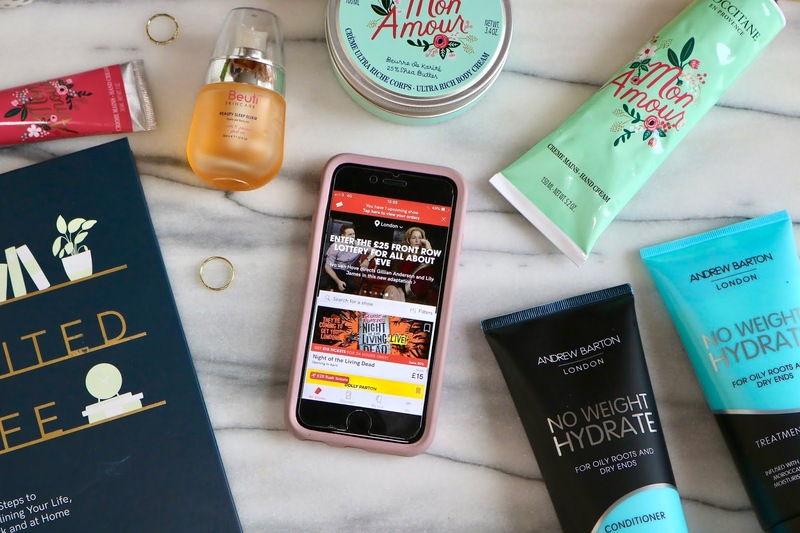 As always, I'm super thankful to any of the brands or PR's who have sent over products for this gift guide! As much as I love a good beauty gift, I think that experiences are so much more enjoyable than material gifts to give as you get to create memories with the person you're gifting to at the same time. This year, I treated my mum to a trip to the theatre to see Come From Away, the real-life story about a plane that is grounded in Canada after 9/11. I managed to get some pretty good seats for next month, so it's something we can both look forward to in the Easter holidays. I've already talked about Today Tix on my Youtube channel, and I honestly couldn't recommend it enough if you're on the hunt for cheap theatre tickets. They have a fab selection for both last minute and new shows opening during 2019, as well as great sales and discounts that pop up regularly. 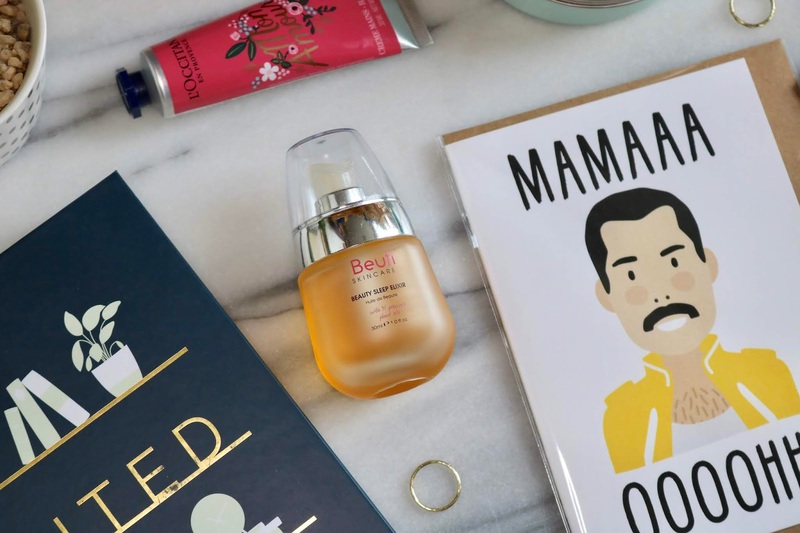 With royal fans such as Kate Middleton and reportedly Meghan Markle, this serum is fit for the queen in your life! This luxurious oil is the perfect step to add to an evening skincare routine, with its mix of 14 plant-based oils that help bring down inflammation and reduced the impact of ageing on the skin. I personally think that the redesign of the bottle makes it look more aesthetically appealing than the original packaging that I have here, so feel free to take a look at the new bottle on their site. As well as using it as a serum, you can also dab this on before applying foundation for a dewy look or even as a spot treatment to bring down any redness! In a bid to start supporting independent brands more this year, I've taken to hunting through Etsy to discover some cool new brands to buy from. While on the hunt I stumbled across Studio Boketto, which then led to me spending a good half an hour laughing my way through their site at their hilariously 'punny' cards. 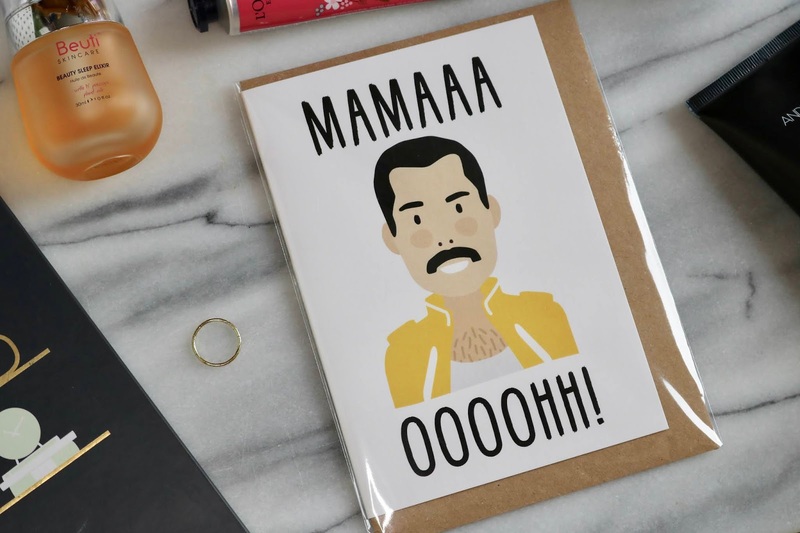 They have a huge range for all occasions, but I fell in love with this Freddie Mercury one especially after watching Bohemian Rhapsody recently. I also think their prices are really good- you'd probably end up spending the same amount at a big chain shop for a card that isn't as nice/has been repeated 5 years in a row already. 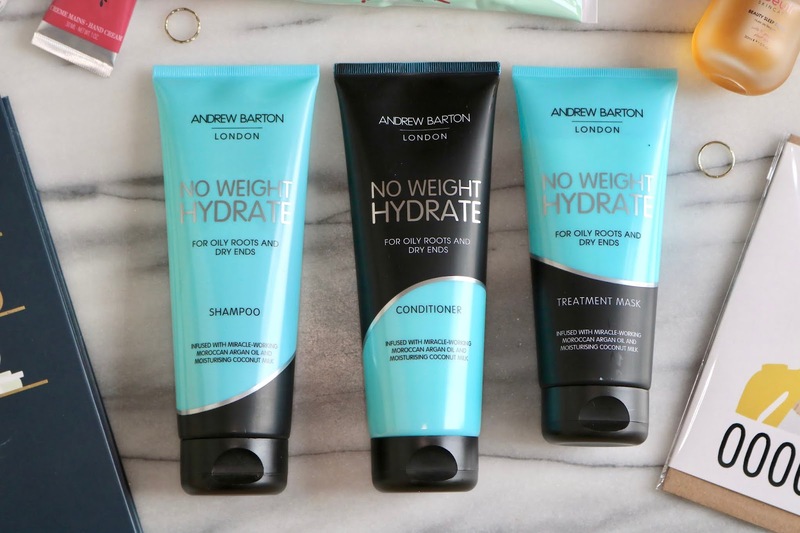 I've been a fan of Andrew Barton ever since I attended the opening of his salon in Covent Garden 5 years ago, so when he started bringing out his own products I was thrilled! The vegan No Weight Hydrate range is the latest one I've been trying out and has done a fab job at reducing any oil build-up in my roots all while moisturising my ends. Whether I end up air-drying or blow-drying my hair, I've found it's been leaving my hair silky smooth with fewer fly-aways and frizz than normal! The shampoo surprised me in the fact that it doesn't lather up a huge amount, which I'm normally a fan of, but this does such a great job at cleansing and treating my hair that it doesn't matter! Paired with the conditioner which is lightweight but super moisturising, they are the perfect dream team. I also have to give a little shoutout to the treatment mask, which gives my hair a real moisture boost in 3 minutes. Yes, you read that right. 3 MINUTES! For someone on the go all the time who can't afford to spend 15 minutes with her head in a towel, this mask is honestly a game-changer as it will give her the results she wants without having to wait around. 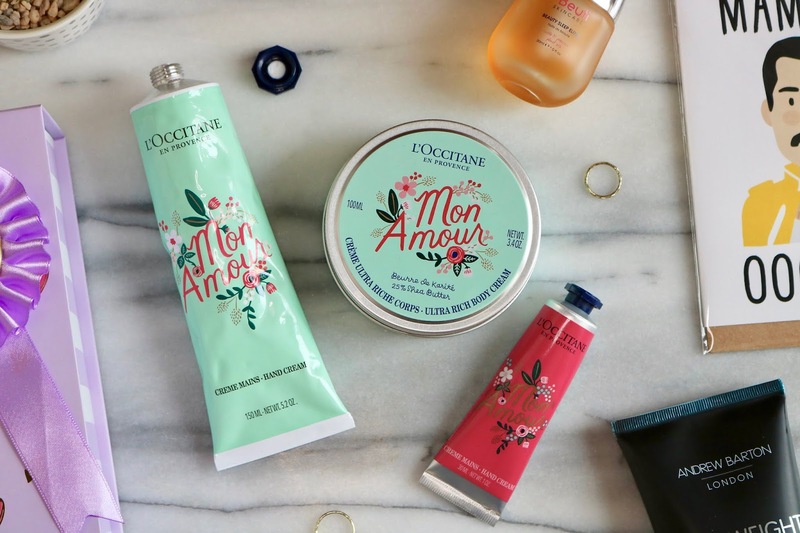 L'Occitane hand creams are always a great gift choice but when you combine them with the amazing designs by Rifle Paper, it's a real no-brainer! This is the second time the two brands have collaborated, and Rifle Paper have designed beautiful illustrations inspired by nature for L'Occitane's shea butter original and rose hand cream. I always find their hand creams so luxurious but don't leave the hands greasy, and I'm particularly loving the clean light smells of both of these. They also had a matching body lotion which I can't seem to find online anymore, but take a look at some of their other body lotions here. I’ve already started to apply some of the organisation strategies to my work, life and home and I feel a lot more organised! 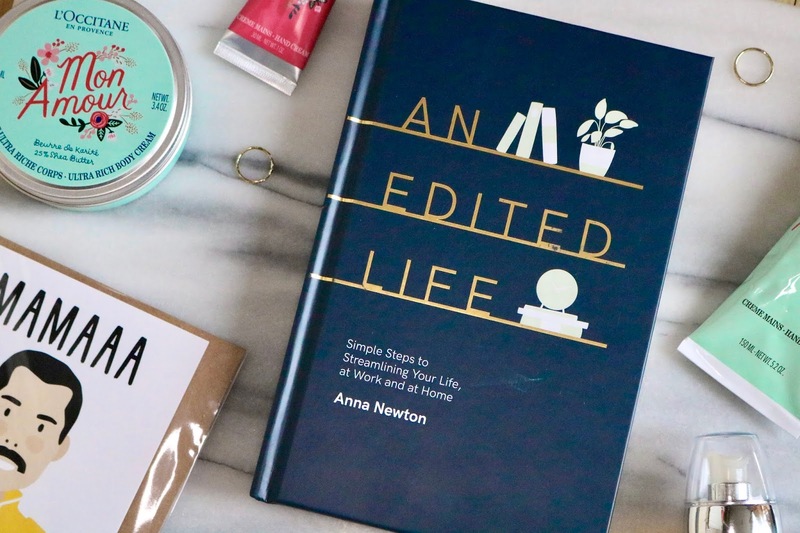 I feel with some books by bloggers they can be hit or miss, but I think Anna was born to write! The wonderful thing about this book is that it doesn't feel like a strict set of rules to follow- you can apply any of the ones you want to your life, without feeling like you're only living with three t-shirts and a couple of ornaments. It allows you to have a wardrobe of clothes, sentimental items, and a budget that can be tweaked if you end up having a spendy month. This will be on my bookshelf for years to come as I’ll know I’ll be referring back to it a lot. 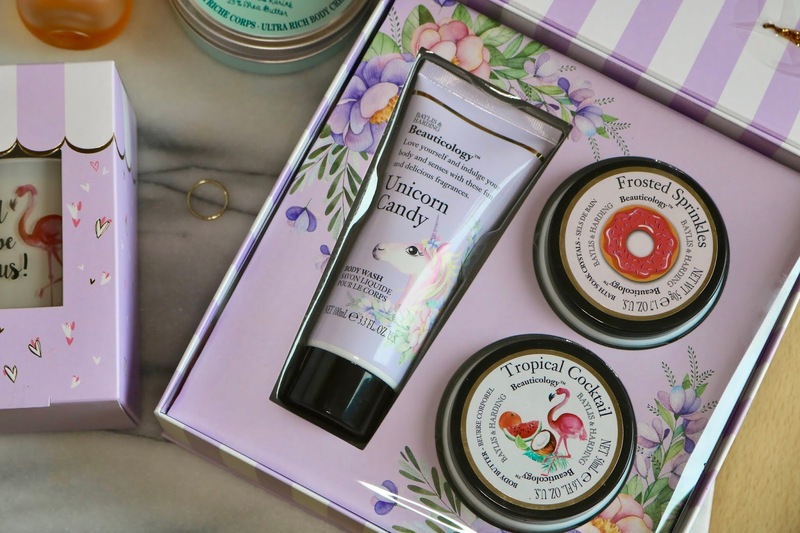 I always bang on about how good Baylis & Harding's products are for the price point, and they've recently brought out some new sets in their Beauticology range for spring. For the mum's out there, there is this super cute Super Mum set complete with a super mum rosette. Inside the box, you'll find three different gorgeous treats so that each bath time they can choose a different sweet smelling fragrance. 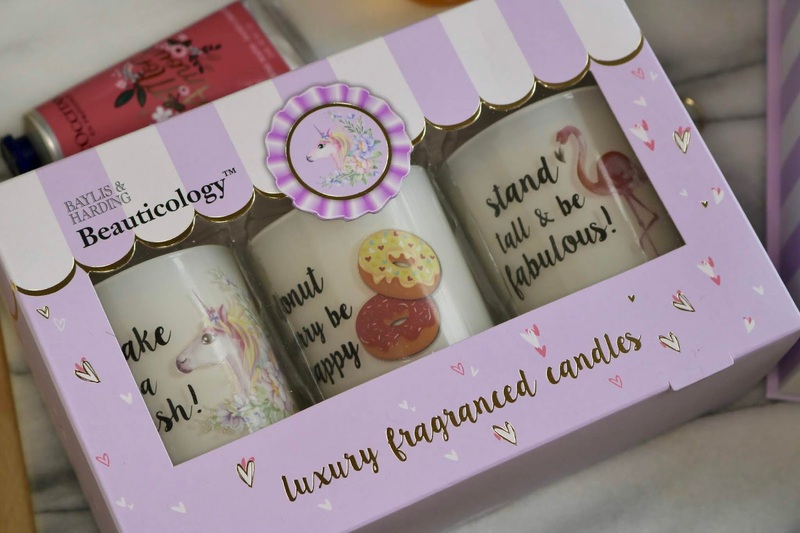 They've also brought out some new candles (I always have one lit somewhere in the house) in the same three scents so you can match your candle to your bath-time products. I had a little chuckle to myself when I saw the slogans on them too- can't beat a good pun! Beauticology sets are great gifts to give in general so check out the full range of sets here. I hope this may have helped you with buying for any spring birthdays or occasions this year! If it does, let me know who you're buying for.